Painted Nails and Random Bruises. This post isn’t all about football. I can almost hear my football loathing sister muttering dark oaths as I type, but really, it’s not about football. 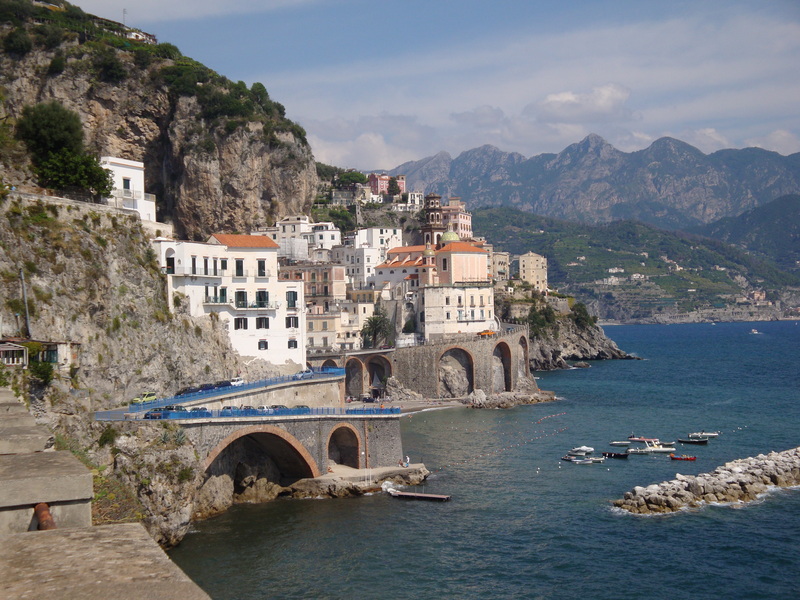 This post is a celebration of a perfect day. The kind of day that makes me want to explode with happiness. The kind of day everybody needs to experience from time to time throughout their lives. Whatever floats your boat, be it music, sport, theatre, dance, occasionally that floater (not sure ‘floater’ is quite the word I want, but you get my drift!) feels so damn good. At the end of the 2004-2005 season my beloved football club, Cambridge United, was in disarray. The club was in administration, the ground had been sold to the vultures and the team dropped out of the league. I cried all the way home from the 4-0 thrashing at Scunthorpe which saw Cambridge all but mathematically relegated with three games left to play. Well, actually I cried until I realised I could make it home in time for Doctor Who, but ‘all the way home’ sounds more poignant. The fact remains that I was devastated. Fast forward nine years to a sunny day in May 2014. Being a Sunday, my day inevitably kicked off with a hangover, particularly as it followed an engagement party on the Saturday night, but there was no chance of me staying in bed to sleep it off. After all, it’s not every day that my non-league football team plays at Wembley for a coveted place in the football league. I wasn’t the only one with a hangover, I hasten to add. Some drank through it on the train journey to London, others had a little kip. 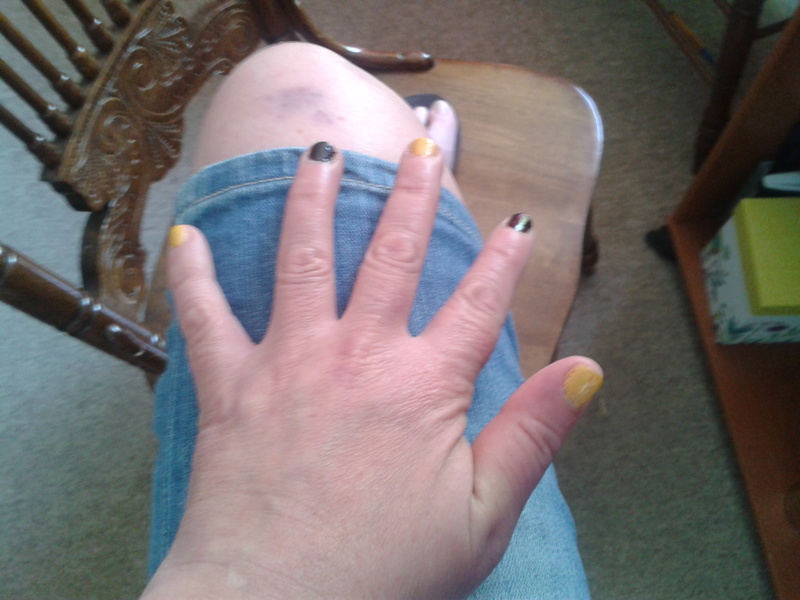 I didn’t do either, being far too busy painting my nails in Cambridge United’s amber and black colours, much to the amusement of the people around me. My travelling neighbour suggested that I might need some new amber nail varnish, and he had a point. I’m not sure how old it is, but it’s pretty much one solid lump now, and claggy nail varnish is not a good look. Going to London always gives me a huge buzz, and factoring into the equation a crowd of high spirited football fans, beautiful weather and the anticipation of a big day out, I was hangover free and ready for a beer by the time we surged off the train at Kings Cross station. The excitement was palpable. Forget the image of drunken sunburnt thugs rampaging through Europe that too often taints English football fans; yesterday we Cambridge fans, with our sunny colours and equally sunny smiles, spread good cheer everywhere we went. I don’t know whose bright idea it was to head for Leicester Square for a liquid breakfast, but we were thwarted from the off by that area’s ‘no alcohol until midday’ policy. Midday? Mid-flipping-day? Luckily, nearby Trafalgar Square had no such dry pub nonsense going on, so off we went, losing one of our party in the process. ‘Man down! Man down!’ Eventually we located him: we’d left him in the toilets of the last dry pub we’d visited in our anxiety to find alcohol. After a brief tour of the sights, he caught us up and we were a group reunited. You may think it’s a pint of cider, but actually it’s a hairy dog! 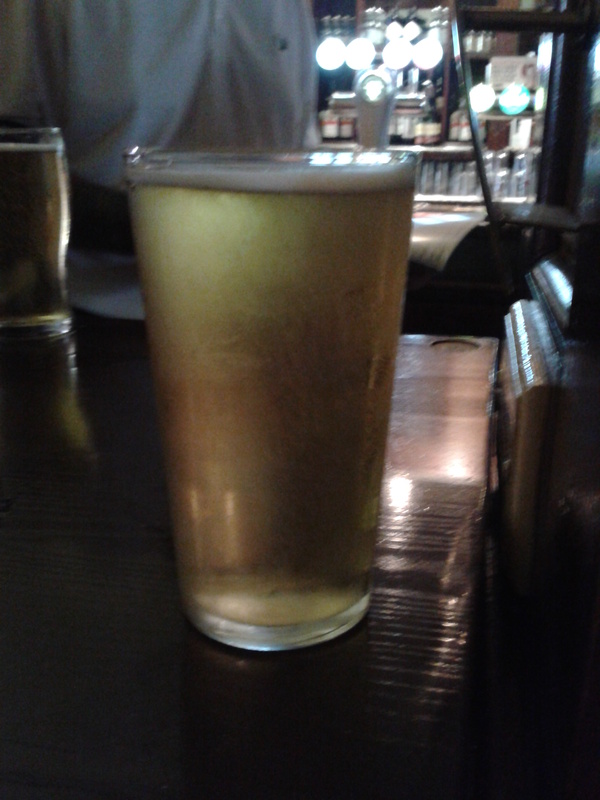 Once the hair-of-the-dog pint was safely out of the way, I was back in the groove. High spirits became unabashed jubilation as we drank ice-cold beer, took the piss out of each other (and anyone else up for a laugh), had a sing-song and generally enjoyed the pre-match piss up. The pub contained an eclectic mix of supporters of both play-off teams (Gateshead being our opponents), Royal Marines veterans celebrating the 350th anniversary of that fine institution, tourists of many different nationalities, and a lady-boy. The lady-boy in particular got the noisiest member of our party very excited, and he’s excitable enough at the best of times. With a couple of hours to go until kick off, we embarked on the next part of our mission. Half an hour and a very hot tube journey later, we were in a pub within sight of Wembley Stadium. I have to admit I still miss the iconic twin towers, but the new Wembley was certainly impressive to behold as the overground ‘underground’ train rounded the corner into Wembley Park. Excitement reaching fever pitch, we had a couple more pints in possibly the skankiest pub ever. Did we care that it was a hovel? Did we heck! I don’t think I’ll ever tire of walking along Wembley Way to see my little local team play in the national stadium. The city of Cambridge had come together for one day to support the players, and the mixture of excitement, pride and nerves was incredibly moving. The memory is bringing up the hairs on the back of my neck as I write. Once inside, we discovered we were a man down again. One of our group had decided he couldn’t bear to watch, so he’d turned tail and headed back to Cambridge. 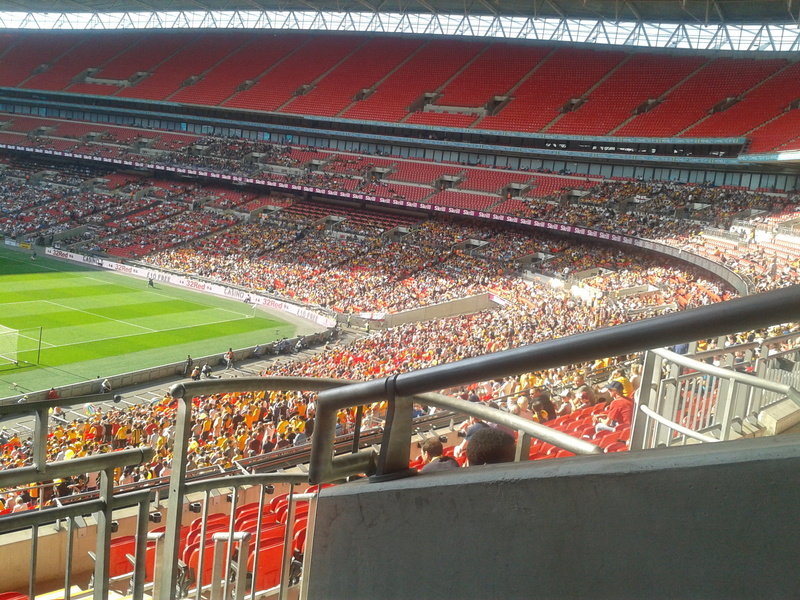 Having come home empty handed from two play off finals in previous years, all Cambridge supporters know what an awful feeling it is to lose at Wembley, but I wouldn’t have missed the game for anything. Not even a banging hangover! I’m not going to go into details about the game, as this post is not about football. No, honest to God, it’s NOT! The first half was a bit of a non-event anyway; we were more interested in taking the piss out of the bloke we’d nearly lost in dry Leicester Square earlier, who spent most of the 45 minutes asleep. The sun shines on Wembley Stadium. No one slept during the second half. 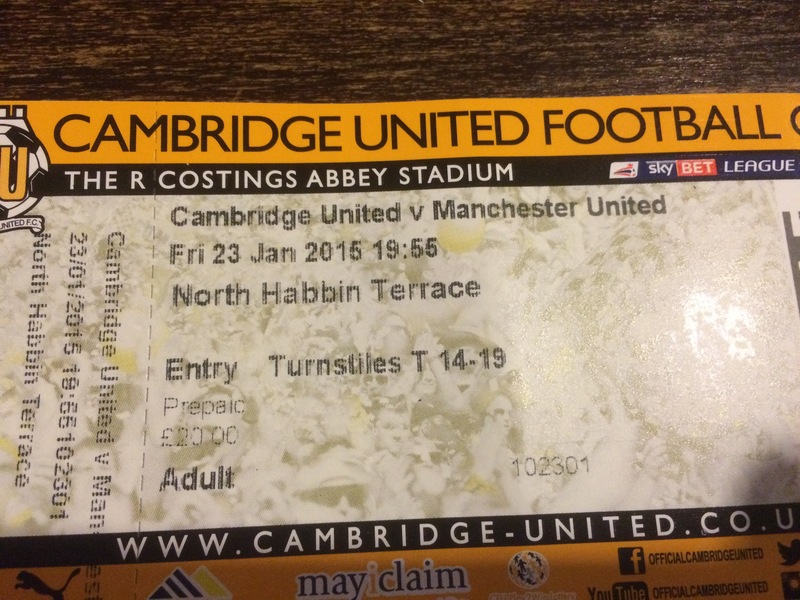 Within minutes Cambridge were 1-0 up and playing well. Midway through the second half the deserved second goal came from a magnificent free kick. What the hell, I’ve got to share. Just listen to that roar, while I go and shed a few more tears of joy. I’m pretty good with words, but I’m struggling to describe the explosion of Cambridge joy that greeted the final whistle. I’ve never felt so emotional after a football match. People were crying and laughing all at once, hugging complete strangers as we celebrated our sporting bond and displayed our feelings in a manner not usually associated with the British. The jubilation then spilled over into a mass sing song; we didn’t know which football chant to air first, and the result was a cacophonous, joyful din of the whole lot merged together. 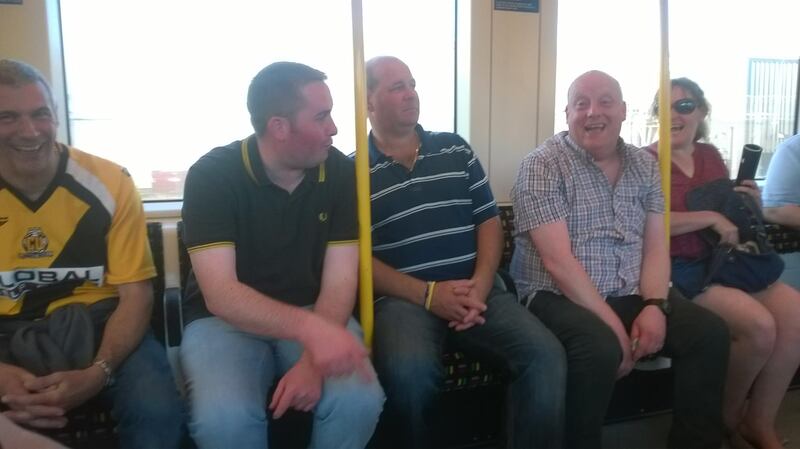 Happy days on the tube. This morning I woke up with no voice, chipped (claggy) nail varnish and a random smattering of bruises on my knee. Who knows where they came from! When I told you this post wasn’t going to be about football I was possibly bending the truth a little, but only a little. Football was the reason behind it all for me yesterday, but the result was something to which I hope you can all relate: the sheer joy of celebration. Painted nails and random bruises: the aftermath of a good day out. The Monday Moan will return. I’ve not had anything to moan about recently, but I’m sure that will change. Continuing with moving blogs from my old website, here’s part three of my London to Brighton story. As Joanne, Bronagh and I left Tulley’s farm for stage three of the L2B challenge, walking through an adventure playground that appeared to consist entirely of broken down vehicles, all around us nature was bursting into life and celebrating the end of the night. Early morning mist rose from the meadows as the moon sank slowly against a backdrop of blue. A group of deer ran across our path, heading towards woodland. Flowers unfurled, shadows retreated, birds added their voices to the dawn chorus. To think only a few hours earlier I’d been envious of ‘normal’ people sleeping in their warm beds; I wouldn’t have missed daybreak on 26 May 2013 for all the snugly duvets in the world! In high spirits my companions and I arrived at the golf course (yes, golf course!) of an extremely posh school, tracks of the multitude of L2B participants who’d crossed the course before us clearly visible in the dew. The sun had risen by this time, but it was still very early and we were the only people about. Our playful mood continued as we reached a pretty country lane, where I was delighted to find a long twig perfect for use as a back scratcher. While an oblivious Bronagh walked on ahead, Joanne and I hid in the bushes, weeping with laughter at our hilarious joke. On such a beautiful morning, a little delirious from lack of sleep, laughter came very easily! However, it wasn’t long before the pace slowed again and my agitation returned. Warning my companions that I was going to be antisocial for a while, I put my iPod on and walked at my own pace. As a result I was quite a long way ahead by the time the L2B arrows pointed into the trees at the side of the pretty lane. The markers pointing off the pretty lane onto the horrid path! Sitting on a tree stump, mobile phone in hand, was another L2B challenge retiree, who tearfully told me that her knees were too painful for her to continue. I made all the appropriate sympathetic noises, then left her talking on her phone and walked on. I’m not surprised the poor woman’s knees had given out if she had attempted the next bit of the walk. Even my sturdy joints grumbled as I stomped down a steep, woodland path, sometimes tripping over tree roots, sometimes sinking into large patches of mud. Finally, aching and despondent, I reached the bottom of the path and wondered what horrors lay in store next. Ardingly Reservoir lay in store, and it was one of the most breathtakingly beautiful places I have ever seen. A narrow wooden bridge stretched out in front for me, spanning the reservoir. The water was surrounded by trees, reflected in its surface which was smooth as glass, and I was the only person in this gorgeous, tranquil place. Despondent no more I crossed the bridge, packed my night clothes back into my rucksack, retrieved my camera and snapped the scene for posterity. Joanne joined me after a while, a little frustrated at the slow pace, and when Bronagh arrived we had a quick water break then set off again. Bronagh was feeling a bit down; she knew she was struggling, but didn’t want to disappoint all the generous people who’d pledged money to her charity. Andy phoned while Bronagh and I were chatting, and was surprised to find I was still so far from Brighton. Before the L2B began I’d naively declared I’d be crossing the finish line by Sunday lunch time. Now it was looking like it would be evening at the earliest; and, if we carried on at the pace we were going, we’d be lucky to finish before dark. Tiredness, disappointment and frustration suddenly overwhelmed me as I talked to Andy, and it took all my will power not to burst into tears. My emotional phone call proved something of a turning point for me. As we approached the next rest stop, later than intended yet again, I decided I had to to up the pace from then onwards. The next stop was the fudge stop (we’d taken to referring to all the stops by the food they offered rather than their official names). Being a lover of fudge I’d been looking forward to this stop with particular relish, but by the time we arrived my only concern was to get going again as quickly as possible. The friendly people I’d met at the hot food stop were by the entrance, one of them in floods of tears. I clearly wasn’t the only one having emotional meltdowns by that point on the L2B! Joanne was as anxious to get going as I was, so after a quick blister check we were ready to depart. Bronagh looked very sad at being left behind; and having enjoyed her company right from the start I found saying farewell was the worst moment of the entire walk. Once Joanne and I got going our moods soon lifted. 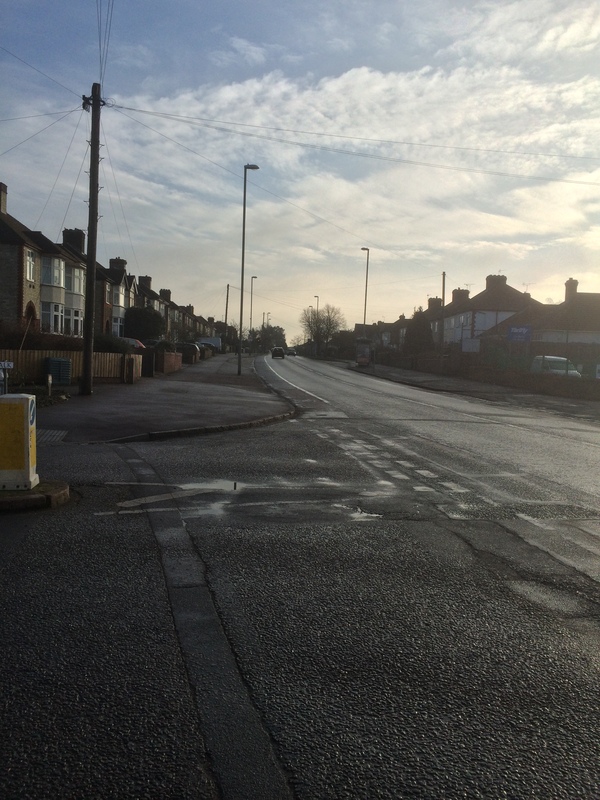 It felt so good to be walking at a decent pace, and the euphoria we’d experienced as the sun rose came flooding back. With the sun being high in the sky by this time, Joanne took out a baseball cap and I laughed at the football badge it displayed. 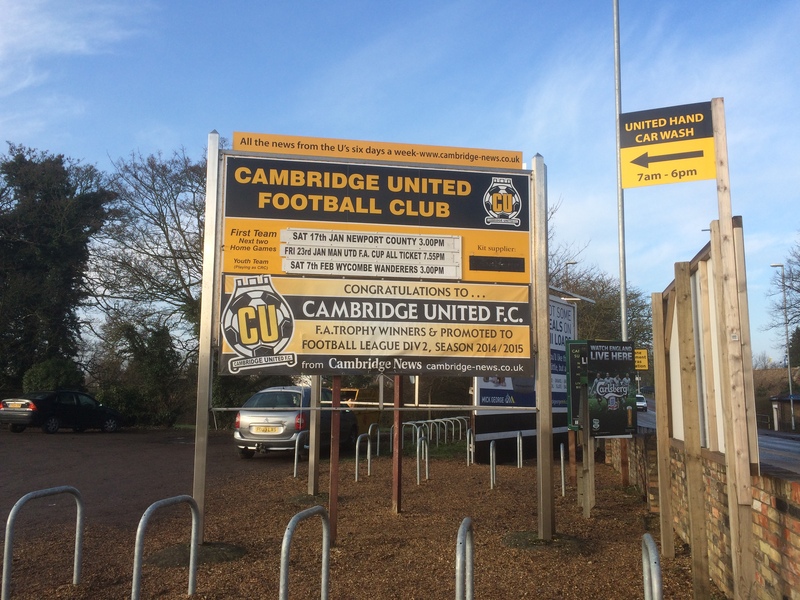 Having discovered that we were non-league rivals, being as I’m a Cambridge United fan, we enjoyed some light hearted banter and football chat as we walked on. In the midst of a patch of woodland we found our path blocked by a ridiculously large log, and the only way to proceed was to climb over the thing. I’m not sure what Joanne found funnier: the idea of climbing-phobic Bronagh scrambling over the log, or the undignified sight of me straddling it for an impromptu rest! Before long Joanne started ribbing me about my constant references to the arduous climb over the South Downs right at the end of the walk, which according to our route plan was a total ascent of over 1000 metres. The fact that would make the downs higher than the highest point in England should have hinted to me that wasn’t quite right, and I felt suitably silly when I realised 1000 metres was the actually total ascent over the entire walk! Joanne and I continued to make good progress, passing more and more strugglers as we went. One woman told us that a colossal blister had suddenly appeared without warning on her foot, and further on a bloke winced in pain as he bandaged his knee. My cheerful hot food stop friends were also conducting a bit of trackside first aid on their blisters, and it was then I noticed that one of them was wearing flip flops. Amazingly, she seemed to be the only one of the four whose feet were fine. ‘But what about the dust? Doesn’t it rub between your toes?’ I asked. Continuing along the lane, I pointed out some more ‘strugglers’ up ahead. Cows; people; they all looked the same to me by then! On the approach to the next rest stop, the breakfast stop, we were constantly overtaking and being overtaken by fellow walkers. One minute we were rejoicing at having a few behind us, the next we suspected we were at that back of the pack yet again. Shortly after the 79km marker, 1km from the breakfast stop, was a field full of cattle. Being a country bumpkin I’d grown up around cows, and I walked on with confidence, promising to protect a couple of nervous young women from the nasty beasts. However, even I baulked a little at the sight of a big, mean bull, standing right in our path and mooing ominously. Joanne, on the other hand, wasn’t fazed in the slightest. We arrived at the breakfast stop around about midday, by which time it was also known as the 80k club due to the huge amount of people who had come so far but could go no further. Personally I enjoyed this stop more than any other. The weather was glorious, and laying in the sun airing my sore feet while eating a hot sausage sandwich was one of the best feelings ever. According to another sunbather we only had 33 hours from our start time in which to finish if we wanted our time to be registered, which would give Joanne and me over six hours. Six hours to walk 20km. Yes, we could do that! Joanne emerged from the first aid room and joined me in the sunshine, complaining her feet felt worse than they had before treatment. We enjoyed another ten minutes in the sunshine, then Joanne went off in search of food while I put my reluctant feet back into their boots. The friendly hot food stop group was sitting just outside the first aid room as I refilled my water bottles, and a first aider was offering consolation to the group’s struggler. She was upset at having to join the 80k club, and he was reminding her she’d achieved something amazing getting this far. I turned to locate Joanne, and to my amazement found her talking to Bronagh! How on Earth had Bronagh managed to catch us up? With a little help from a minibus, that’s how; but by this stage I was a little less opinionated about other people’s methods of completing the L2B challenge. The first aid man was quite right; every single person who made it to the 80k stop had already achieved something amazing.